This is the second card we made in this weeks Brusho Technique Class. 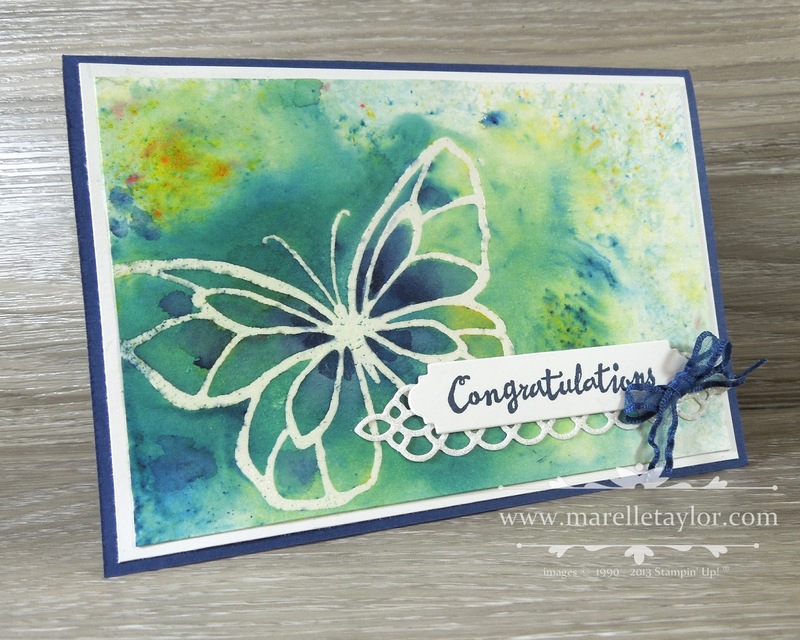 I've used a mixture of blue and yellow Brusho powders on this card. I love the green-y tones it produces! I did lots of spritzing so that the colours blended into eachother. Both die-cuts on this card are part of the Petals and More thinlits dies. TIP: I used my Night of Navy Blends to colour my Organza ribbon, and then the heat tool to crinkle it up.